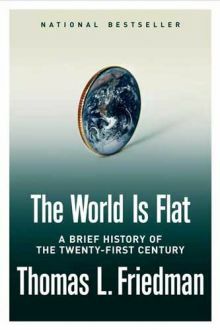 In one section of a popular book on globalization, The World is Flat, Thomas Friedman explores the impact of globalization on the Arab-Muslim world and how this relates to the rise of Muslim based terrorism. [Arab-Muslim] youth, particularly those living in Europe, can and do look around and see that the Arab-Muslim world, in too many cases, has fallen behind the rest of the planet. It is not living as prosperously or democratically as other civilizations. How can that be? these young Arabs and Muslims must ask themselves. If we have the superior faith, and if our faith is all encompassing of religion, politics, and economics, why are others living so much better? a physician and psychiatrist who practices in England and writes a column for the London Spectator. He wrote an essay in City Journal, the urban policy magazine (Spring 2004), about what he learned from his contacts with Muslim youth in British prisons. Dalrymple noted that most schools of Islam today treat the Qu’ran as a divinely inspired text that is not open to any literary criticism or creative reinterpretation. It is a sacred book to be memorized, not adapted to the demands and opportunities of modern life. But without a culture that encourages, and creates space for, such creative reinterpretation, critical thought and original thinking tend to whither. This may explain why so few world-class scientific papers cited by other scholars come out of the Arab-Muslim universities. For the most part this is a helpful analysis and corresponds with some of the emotions and “cognitive dissonance” I observed during our years in Pakistan.3 However, I think that Friedman’s and Dalrymple’s conclusion that terrorism is primarily a frustrated “lashing out” is misplaced. It does not provide a sufficient reason for the modern phenomenon of the suicide bomber, any more than anger or despair would be a sufficient analysis to explain the motive behind the kamikaze pilots of WWII. Anger undoubtedly plays a role in the suicide bomber’s journey towards their act of violence, but it is an insufficient reason for their motive. Even interpreting suicide bombings as a desperate cry for help, “a message, a plea, a scream of anguish and anger for the larger society to do something”4 underestimates the ideological faith that drives terrorists to commit these crimes. To attribute terrorism to a “lashing out” of anger is to ignore the powerful conviction on the part of the perpetrators that their ultimate “martyrdom” is tied to the will of God. Evil actions that many, even in the midst of severe anger, refuse to contemplate because of a conviction of right and wrong, others will do in a calm and calculating way. They act not because of an emotional imbalance due to a lack of moral compass and a sense of helpless frustration, but because they are a convinced of the absolute rightness of their action. It is not an abandonment of what they know to be right (as the concept of “lashing out” would imply) but a fulfillment or demonstration of their faith. They have adopted a moral compass – reinforced by a community that affirms and promotes the ideology – that provides the conviction and motivation to be the avenging hand of God in an evil world. The two major sects in Islam are Sunni and Shia. An underlying Sunni conviction is that God blesses those who follow the right path of Islam (sunnah). Therefore, if Sunni Muslims believe they are missing out on blessings that others enjoy, this can be interpreted as evidence that they must not be as dedicated or as passionate as God requires. Some translate this conviction into greater personal piety and dedication to religious practices. Others follow a more fundamentalist doctrine and believe that God calls them to be channels of his punishment on those who are not living righteously or who are deceiving the righteous. In this case, it is not mere anger – “lashing out” – but a corrective to the problem of dissonance between God’s blessing and their experience. Shias are highly influenced by the themes of suffering and martyrdom. Beginning with the deaths of Ali, the cousin of the prophet of Islam, and Ali’s son, Hussein, they celebrate the memory of the righteous vindicated through martyrdom. Dying for the right cause results in God’s favor. Although they suffer, their endurance is part of being on God’s side. When people brought up with such strong religious images come under the influence of radical Islamists, they may become convinced that they are also called to follow in the steps of the martyrs. The proposal of “lashing out” as the primary motive for suicide bombers is insufficient. It suggests that frustration and anger are being expressed in a manner that the perpetrator, in a calmer frame of mind, would consider inappropriate. 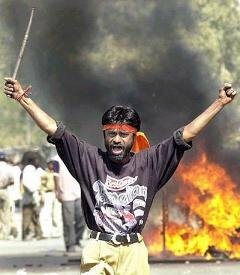 If “lashing out” is the main motive that drives Muslim suicide bombers, the prevention of this would involve anger management so that the person can be brought into their “right mind.” It also suggests that if people would channel their emotions into more productive activities, their sense of helplessness would be overcome and they would not commit this act of cruelty. It implies that if their low self-esteem can be corrected, then they will not seek a path of violence. However, if the problem has ideological roots, then this approach would only circumvent the heart of the matter. That is, if in their “right mind,” they view suicide bombing as a logical and beneficial action, anger management will not correct the problem. Ideological problems require ideological solutions. That is, the solution is not psychological, requiring emotional stability and change of action within their current belief system, but a fundamental change to their belief system. They need to come to a different view of God. As it is, their reactions are a logical outcome of their view of God, a view that needs correcting. All of us act according to the perspective of the absolute that we believe in, whether that is a personal God or an impersonal force. Therefore, for the radicalized Muslim, when the understanding of God is altered, the drive towards suicide bombs and terrorism is addressed. As a follower of Christ, I propose that Jesus is the best antidote to religious terrorism. The way of Christ is a way of suffering that takes on the pain of others, not one that inflicts pain. It is act of redemption in which one dies for others, not in order to bring death to others. This is a picture of God who makes things right by absorbing the pain, not by inflicting pain; who brings transcendence, not revenge; who says, “Forgive them,” not “Damn them.” The New Testament view of Jesus addresses the Sunni concern to live righteously, as well as providing a theology of suffering for the Shia that transcends death to bring redemption. Jesus as the antidote needs to be distinguished from the religion of Christianity, however, for there are and have been religious expressions that deviate from Jesus’ revelation of God. The New Testament presents Jesus, not a religious system, as the ultimate picture of God, an exact representation of the divine nature (Heb. 1:3). If Jesus is what God is like and we are committed to pleasing him, then we will live like him. Jesus’ refusal to resort to evil in the face of evil becomes the moral compass and ideology that guides the actions of his followers. Those who recognize God as the loving father in the person of Christ will maintain that image as their internal orientation and be kept from the temptation to bring harm to others. Their anger may tell them to “lash out,” but their ideology will guide them into a less destructive path. If you would like to contact Mark please use the Contact Me form. If you would like to leave a comment, please use the “comment” link at the bottom of this article. 1 Friedman, T. 2005. The World is Flat. New York: Farrar, Straus and Giroux. p. 397 italics added. 2 ibid. p. 399 italics added. 3 Mark served with FEBInternational in Pakistan for 14 years. 4 Hall, Edward T. 1977. Beyond Culture. New York: Anchor Press / Doubleday p. 94. Hall is not specifically referring to suicide bombings, but his comment reflects another possible interpretation.